Buttons Galore & More: Get Festive with a Shaker Card Inspired Bag! Today I am sharing my very first DIY project as a new member of the Buttons Galore & More Design Team! The project that I made for Buttons Galore & More is a Shaker Card Inspired Bag! Now you may be asking, what is a shaker card inspired bag? Well, if a shaker card and a crossbody bag got together, my project would be the final result. In the project, I show you how to incorporate shaker card elements into a bag. 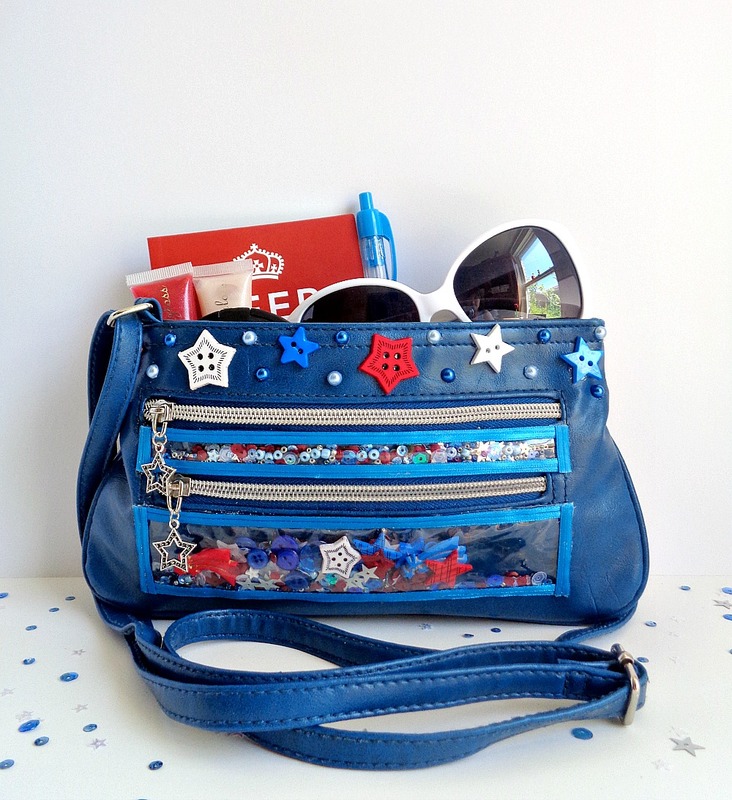 I also show you how you can update a bag using items from the 28 Lilac Lane Embellishment Kit in Stardust. In a nutshell, this project allows you to update an old bag in an unique but super simple way! To get the full DIY on how to make your own Shaker Card Inspired Bag, click here!